SREC stands for Solar Renewable Energy Certificate and is a tradable certificate that represents all the clean energy benefits of electricity generated from a solar electric system. Each time a solar electric system generates 1000 kWh (1MWh) of electricity, an SREC is issued which can then be sold or traded separately. This makes it easy for individuals and businesses to finance and invest in clean, emission free solar power. The New Jersey SREC Program provides a means for SRECs to be created and verified on your behalf. The New Jersey SREC website facilitates the sale of SRECs to electric suppliers who are required to invest in solar energy by purchasing SRECs under New Jersey’s Renewable Portfolio Standards (RPS). This requirement increases each year, so that SRECs from the equivalent of a total of 90 MW of solar electricity will be required by 2009. That’s enough electricity to power approximately 8,000 homes! 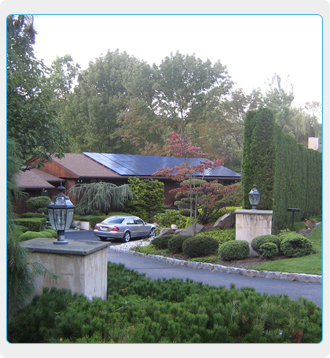 All solar system owners in New Jersey with grid-connected generators can participate in New Jersey’s SREC Program. You must first register for an electronic account on the website shown below. Then SRECs will be deposited in your account and you will be able to list them for sale before listing SRECs on the bulletin board.